I’m glad you’ve enjoyed The Wisdom of the Runes Flash Briefing on Alexa! my undying thanks for your support! 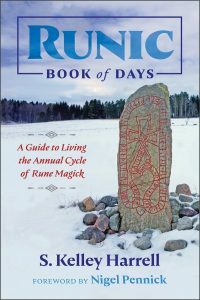 Learn how to come into deeper relationship with the runes in my book, Runic Book of Days, through working with the runic calendar. Through seasonal progression of half-month devotionals that culminate with sabbat initiations, my book explores each rune in its place on the wheel of the year, through personal introspection and meditative prompts. With the completion of half-month devotionals is the opportunity for personal initiation at each sabbat, to come into deeper relationships with self and the world around you, through connected, personal runework. You can also take that work deeper by joining my private book group on Facebook. 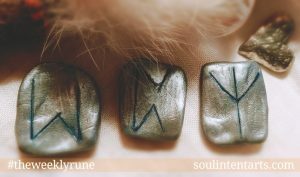 Reawakening with the Runes is a 5-week introduction to the runes, focused on bringing you into closer relationship with them. 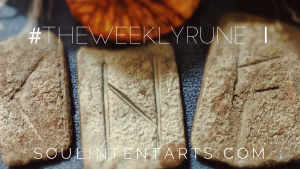 Reclaiming the Runes is a year-long intensive, offering a primer on the runes as an alphabet, and as a system of storytelling, timekeeping, and divination. It is your opportunity to create your relationship to the runes. Contact me for information on animistic and shamanic coursework, as well as mentoring through The Spirited Path. Shamanism is where you stand. It isn’t another place, culture, or time. You’re already on the path. Learn to be in direct relationship with it, now.